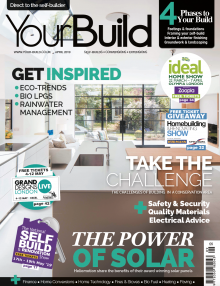 Your Build magazine is mailed exclusively to self-builders and renovators, to provide them with a step by step guide through every stage of their project. Every year thousands of self builders embark on the journey of building a new luxury home, or modernizing their own. Over 25,000 planning applications have been applied for and approved in the past 12 months alone, making self-build the fastest growing market of all the building sectors, with an estimated worth of over £4 billion per year. Your Build’s aim is to educate the self builder about the latest innovative products that can utilised during their complex build. Each issue will be packed with helpful information such as how to finance the build, tips for each stage of the build, case studies, the latest products, and much, much more.